While paying your bills on time may give you a feeling of accomplishment and pride, getting behind can have an opposite, devastating effect. When past-due bills are turned over to collection agencies – and their calls and letters go unanswered – the creditor may have no choice but to sue for payment. However, before you find yourself in that situation, be sure to understand what garnishment is and be familiar with the steps you can take to keep it from happening to you. In order to collect payment of a debt that has gone unpaid and perhaps ignored for an extended period of time, a creditor may file a lawsuit to collect payment directly from your employer. That’s the meaning of garnishment. It is a legal means of collecting payment on a debt by taking payments out of your paycheck, including bonuses and retirement income. Garnishing a debtor’s wages is usually the last tactic a creditor will resort to after all other methods have failed. Stay current on your debt payments – If you have difficulty keeping track of your various payment due dates, add them to your smartphone’s or computer’s calendar. Include a reminder notice in each calendar post to alert you to make your payment on or before the due date. Or, remind yourself to stay current by writing a budget. List all your payments and when they’re due. Then, check off each one as you pay. Respond quickly to creditor communications – Soon after a payment is missed and becomes past due, the creditor will follow up with you by phone, email, mail or perhaps even via text message. Usually, creditors are friendly and helpful when a single payment becomes past due. Also, some won’t report one past due payment to credit bureaus if it’s less than 60 days past due. As soon as you become aware of a missed payment, communicate with the creditor – don’t ignore or avoid their attempts to talk with you. Communicating lets them know you intend to make up the payment, get the account current and avoid the possibility of garnishment. Work out a payment plan – When your account becomes past due by 60 days or more, the credit bureaus receive notice and you sink ever-closer to the risk of having your paycheck garnished. However, when your past-due balance becomes significantly past due or the dollar amount is beyond your ability to pay, that’s when a payment plan is necessary. Again, communication is key. Contact your creditor and ask to arrange a payment plan. Making a payment arrangement is mutually beneficial because you both would prefer to avoid the hassle of garnishment. 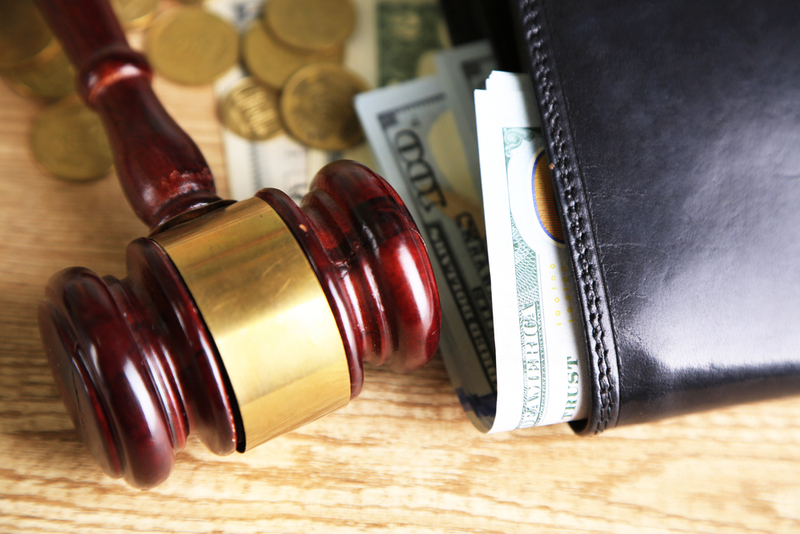 Are you facing financial difficulties including the threat of garnishment? 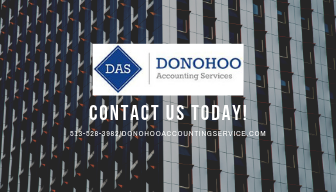 The accounting professionals at Donohoo Accounting Services can help get your finances in check. Call 513-528-3982 or email us today. The term garnishment means that debt collectors can take payment for what they’re owed directly from someone’s bank account or paycheck. Although that sounds quite scary, it’s important to understand that garnishment is generally viewed as a last option for debt collectors. But even though the road to garnishment is long, it does happen, which is why we want to help you better understand the details of this process, along with what you can do about it. The two types of garnishment are wage and nonwage. With the former, a creditor will be able to legally obligate your employer to give part of what you earn each month for your debts. And with nonwage garnishment, creditors can legally tap your bank account to help pay debts. As mentioned above, both types of garnishment come after a debt collector has made multiple attempts to secure some type of payment for what they’re owed. However, wage garnishment is still surprisingly common. A study of thirteen million employees found that 7.2% had their wages garnished over the course of a year. For employees between the ages of 35 and 44, over ten percent were impacted by wage garnishment. Of the nearly million employees identified in this report, the most common reasons for wage garnishment were child support, consumer debts, student loans and then tax liens. The standard process for garnishment occurs after a debt goes unpaid for a period of time, which is often six months. The debt is then often sold to a collector, who in turn may try to secure payment and then sue if unsuccessful. Losing this suit or not showing up at all can result in wage or non-wage garnishment. It’s worth noting that in cases involving federal student loans, child support or back taxes, garnishment can occur without requiring a court order. Individuals do have some specific rights in regards to garnishment, including receiving legal notification, being able to file a dispute if information is incorrect, exemption of certain forms of income like Social Security and being protected from getting fired over one wage garnishment (although this protection doesn’t apply if you have multiple garnishments). Once a garnishment is instituted, options for dealing with it include working out a different deal with the creditor, challenging the judgment or paying off the garnishment in a lump sum. Keep in mind that a garnishment will show up on your credit report and stay for as long as seven years, so taking any available steps to prevent the situation from escalating to this point will help you a lot in the long-term. If you’re dealing with wage garnishment, Donohoo Accounting Services has the expertise to help. Call us now at 513-528-3982 for a free consultation.